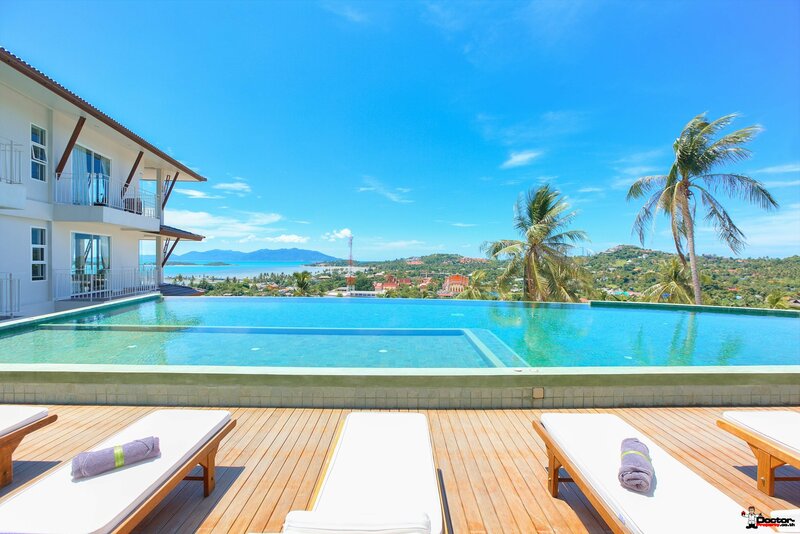 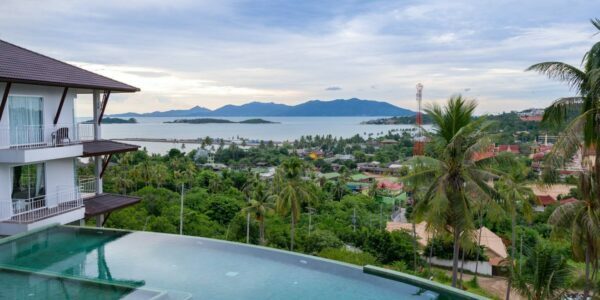 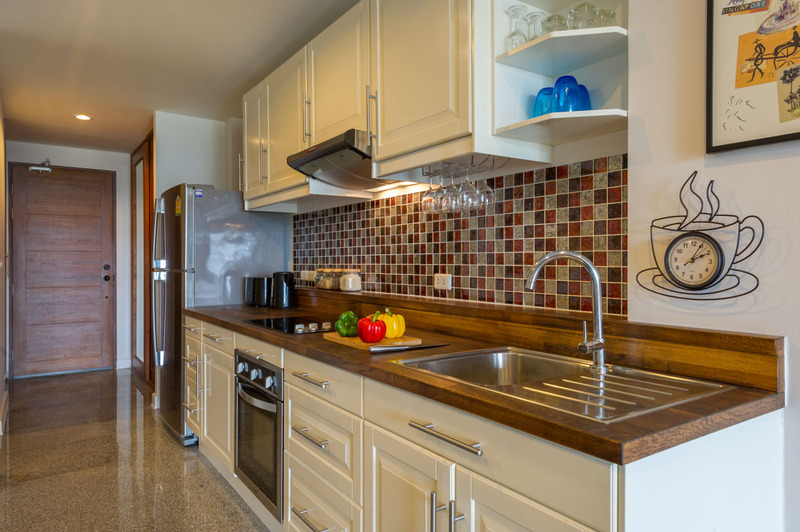 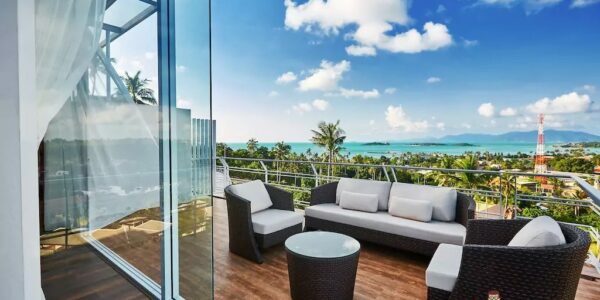 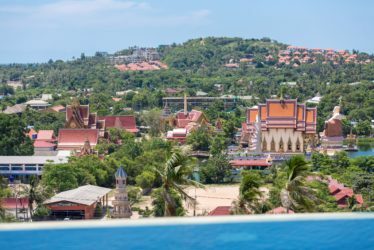 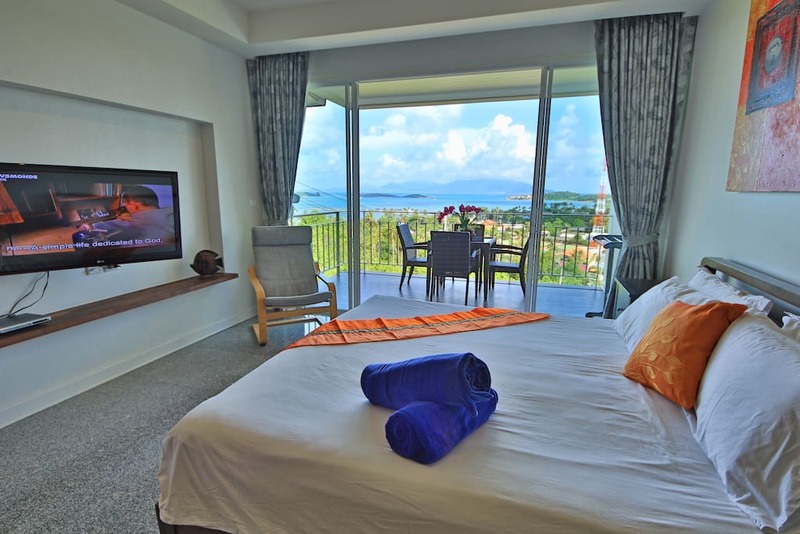 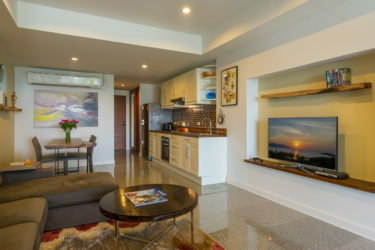 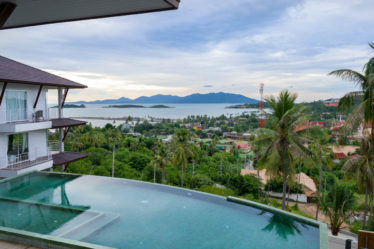 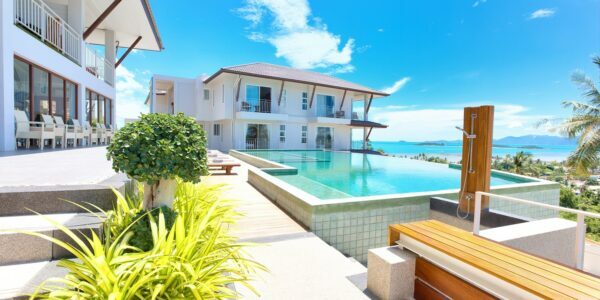 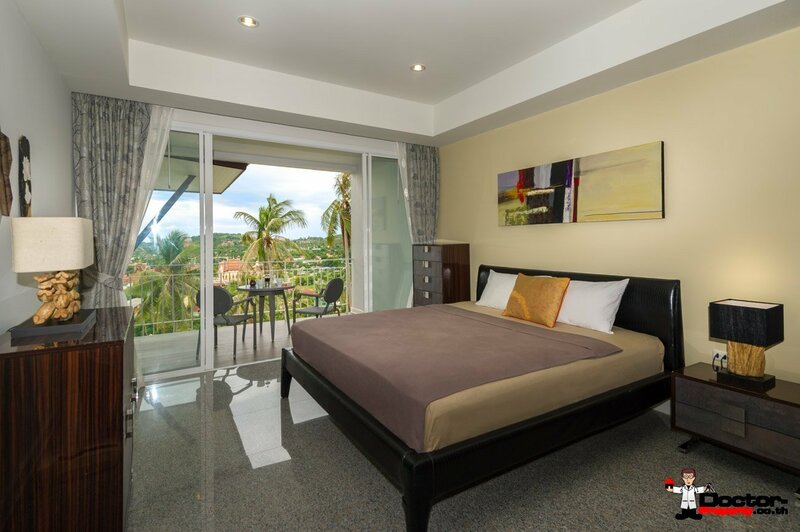 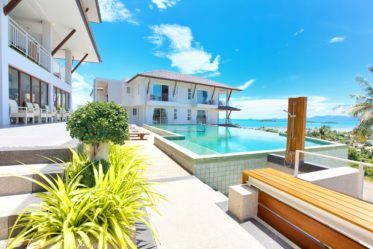 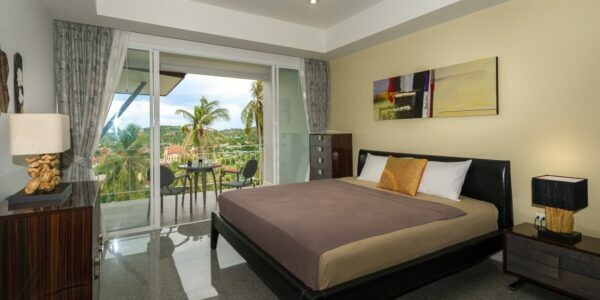 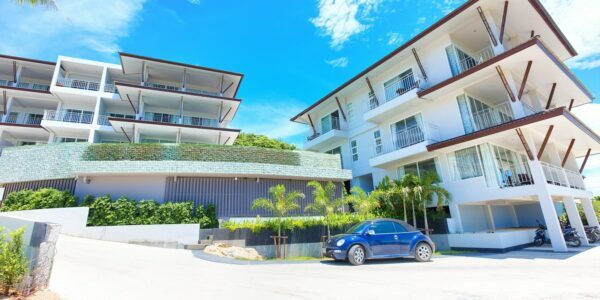 Are you looking for a quality studio condo in Koh Samui? Would you like to take advantage of community living? Then take a closer look at our new offer from Doctor Property! 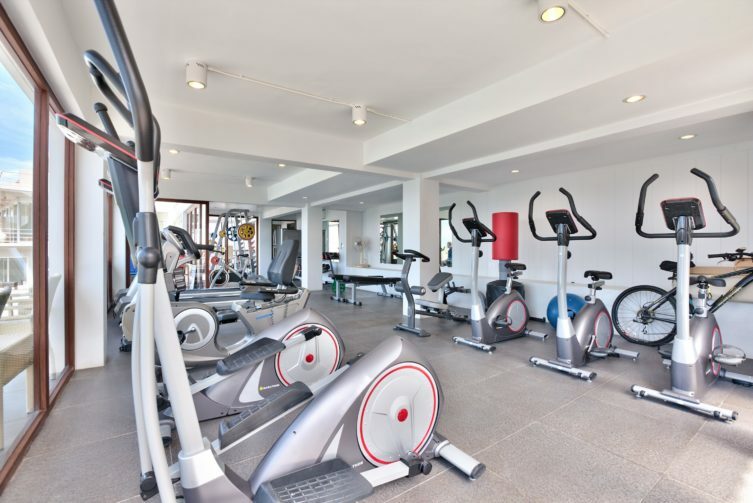 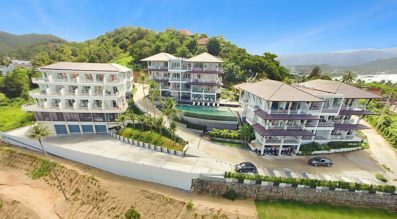 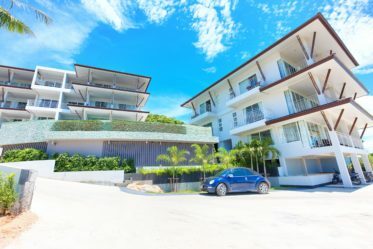 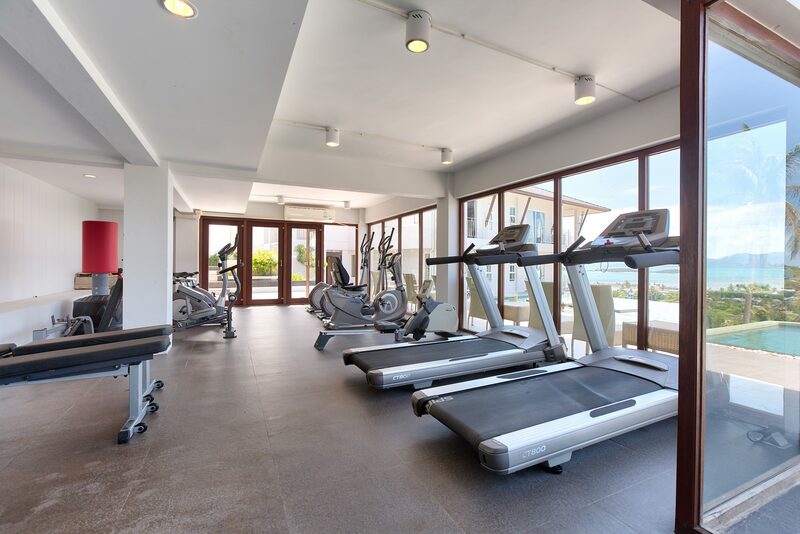 This condominium complex is within the vicinity of Choeng Mon Beach and Big Buddha. 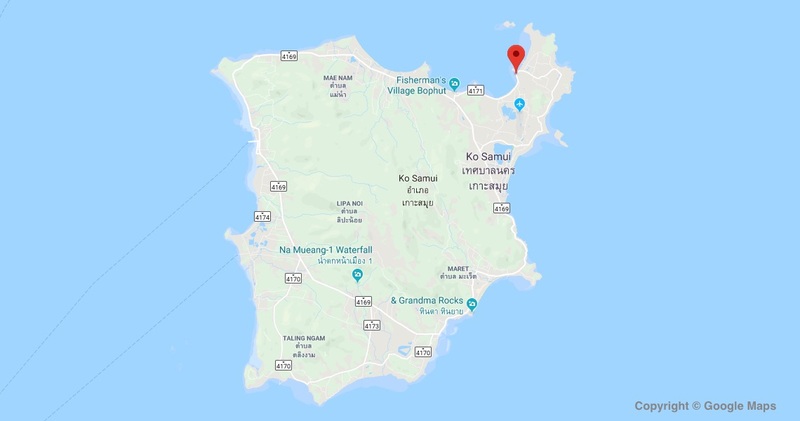 The airport is only 5 minutes away. 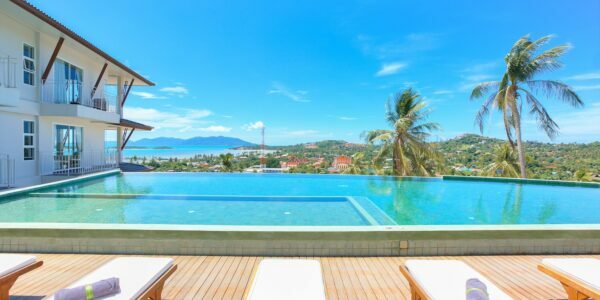 It is 15 minutes to Chaweng. 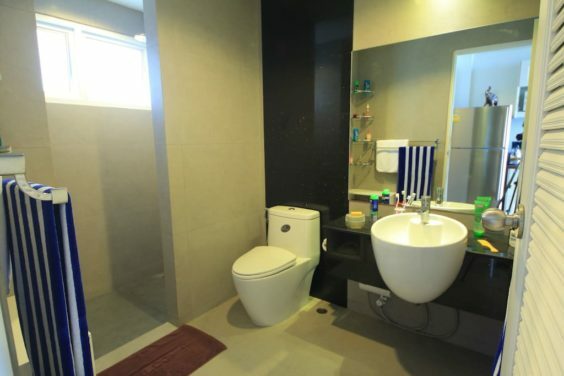 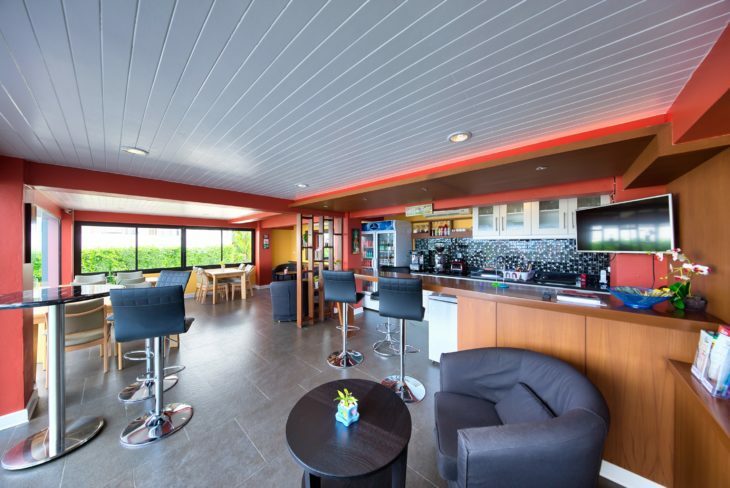 This con­do (C 1–2 and C 1–3 com­bined into 1 impres­sive unit) has an area of 192m2 with 4 bed­rooms. 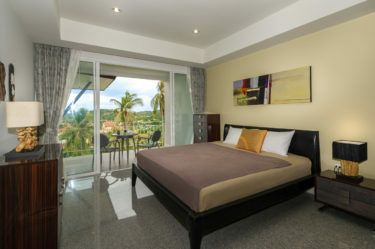 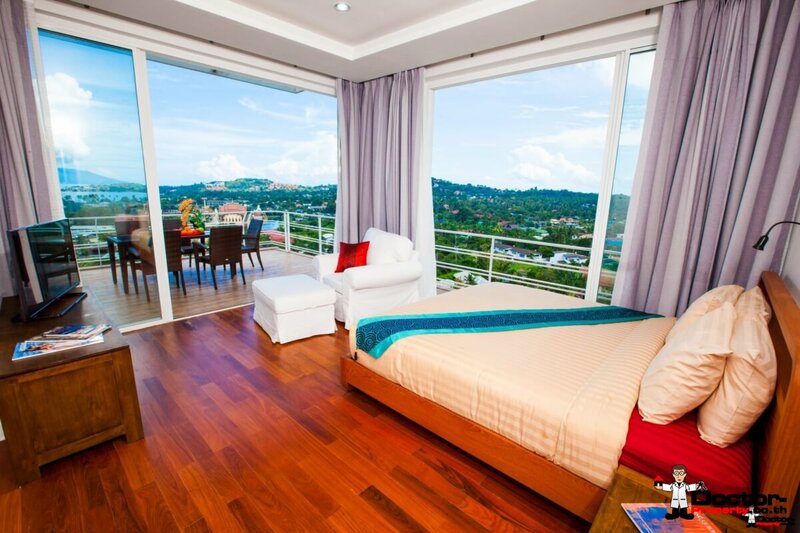 All of the bed­rooms are en-suite and there is one bed­room with it’s own pri­vate front door. 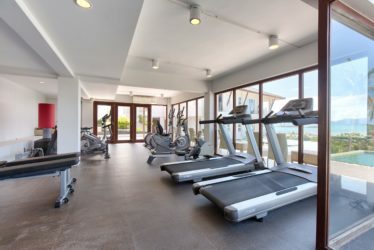 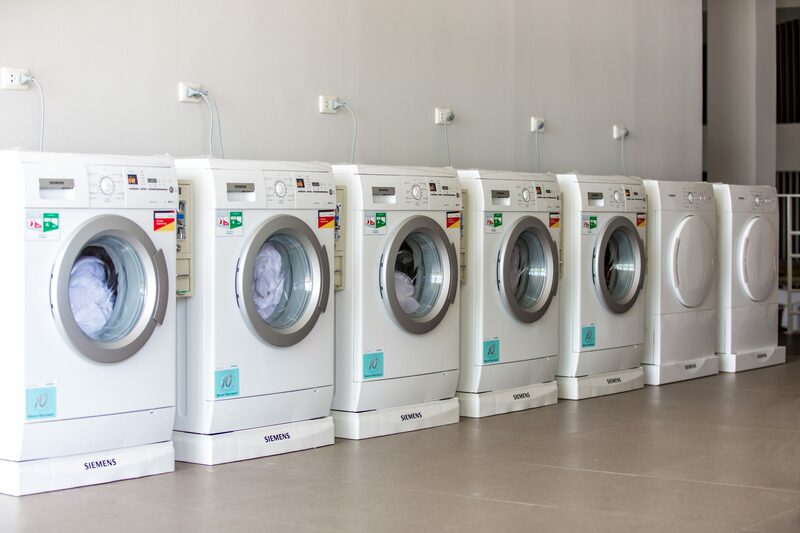 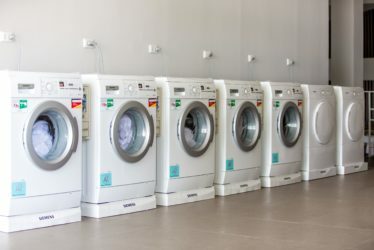 There is a com­mu­nal pool, gym, laun­dry, 24/7 secu­ri­ty, a small cof­fee shop, des­ig­nat­ed park­ing for your car and a gar­den. 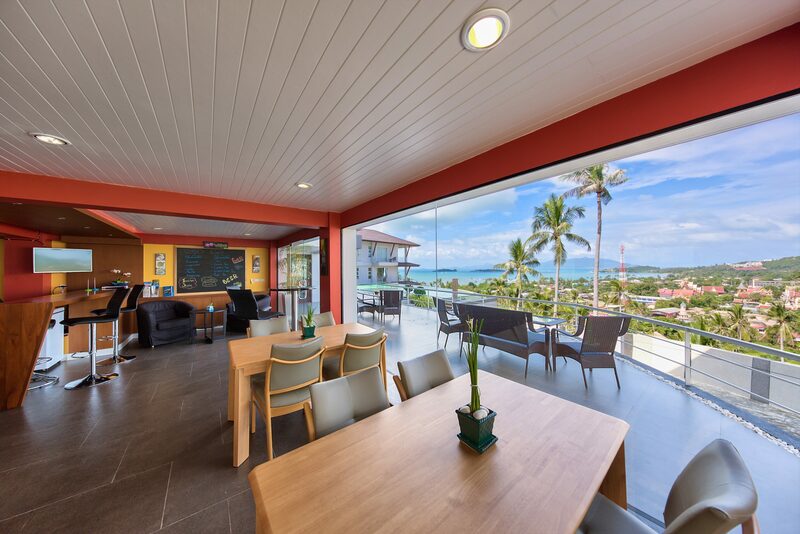 This apart­ment is on the 1st floor and overs amaz­ing views of bay and land­scape below. 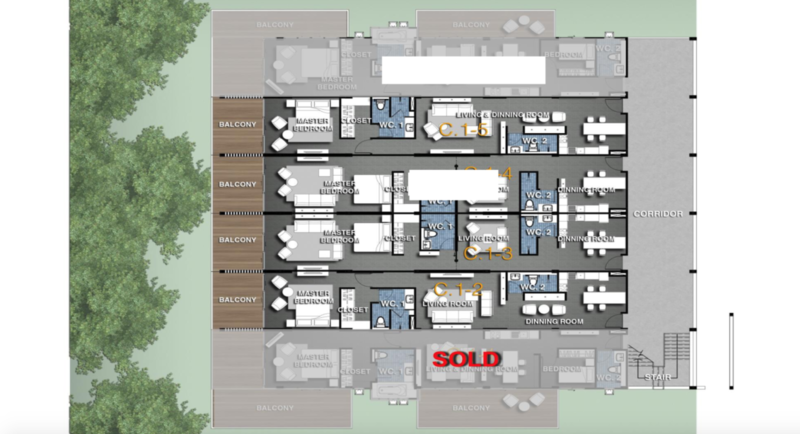 Please con­tact us for you are inter­est­ed in rent­ing a sim­i­lar con­do at this prop­er­ty. 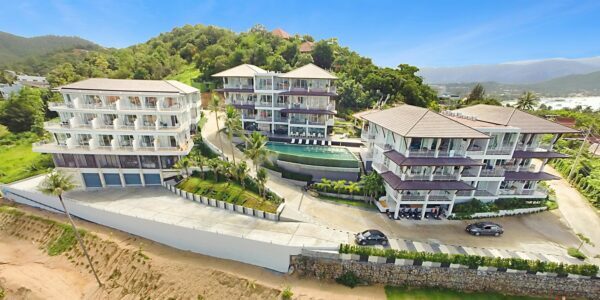 This apart­ment is avail­able to pur­chase for­eign­er-lease­hold or Thai-com­pa­ny and the price is 12,900,000 THB.